3 How Long Can You Keep Plain Yogurt? Greek yogurt has a thicker texture than traditional yogurts. The yogurt has been strained to remove the whey so that it contains a richer texture. The yogurt typically contains sheep’s or goat’s milk in Greece, but it can be made from cow’s milk as well. Greek yogurt can be frozen in the same manner as traditional yogurt. The cultures will remain dormant when you freeze it, but they will return once the yogurt thaws. Pour the Greek yogurt into a small freezer container. Freezing it in smaller portions will allow it thaw more easily, and you will only need to remove what you need so that you do not waste any yogurt. Place a lid on the freezer container. Store the yogurt in the freezer overnight. Remove the yogurt when you are ready to consume it. You can eat the Greek yogurt frozen, or you can thaw it in the refrigerator. Combine fresh fruit with the yogurt and freeze it to make a sorbet. Freezing yogurt might change the texture and the taste. Heating yogurt will kill the beneficial bacteria. 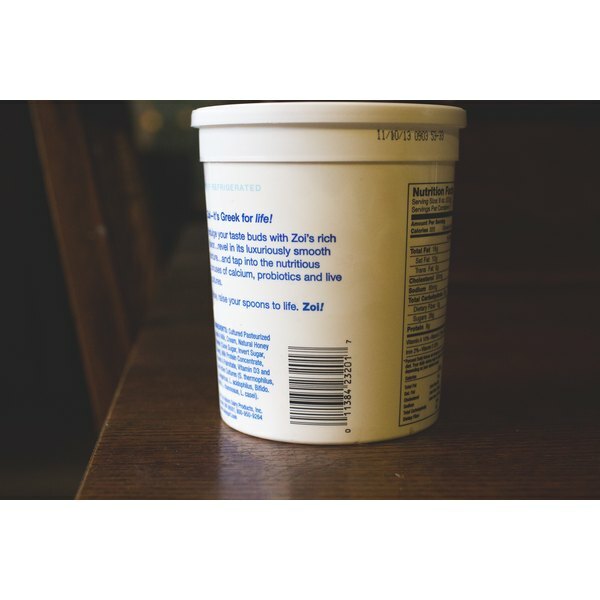 Dannon: Can Dannon Yogurt be Frozen?